Vega Magic is favourite in the Bletchingly Stakes at Caulfield, the first start of his campaign. The Bletchingly Stakes is an end-of-season race that connections of Vega Magic hope will be the beginning of a big preparation for the dual Group One-winning sprinter. Vega Magic is the early $2.15 favourite for a strong edition of the Group Three weight-for-age sprint at Caulfield on Saturday at the final city meeting for 2017/18. Vega Magic will be having his first start since his unsuccessful defence of The Goodwood in May, with a view to bigger new season targets during the spring carnival. The Bletchingly has a field of nine with impressive last-start Sir John Monash Stakes winner Voodoo Lad tightening from $4.20 to $3.70 on Wednesday while three-year-olds Ardrossan ($6.50) and Jukebox ($7.50) are also at single figure odds in an early market. The race is also set to feature the return of multiple Group One winner Black Heart Bart who is yet to race in 2018 and is at $10. Vega Magic won a jump-out at Flemington last week wearing blinkers which he will wear in a race for the first time on Saturday, replacing winkers. Co-trainer Ben Hayes said the rising six-year-old was in excellent order. “He looks really well in the coat and he worked really well this morning on the inside grass at Flemington,” Hayes said. “He’s drawn a nice barrier (three) and if he gets a good track we’re expecting him to run really well. 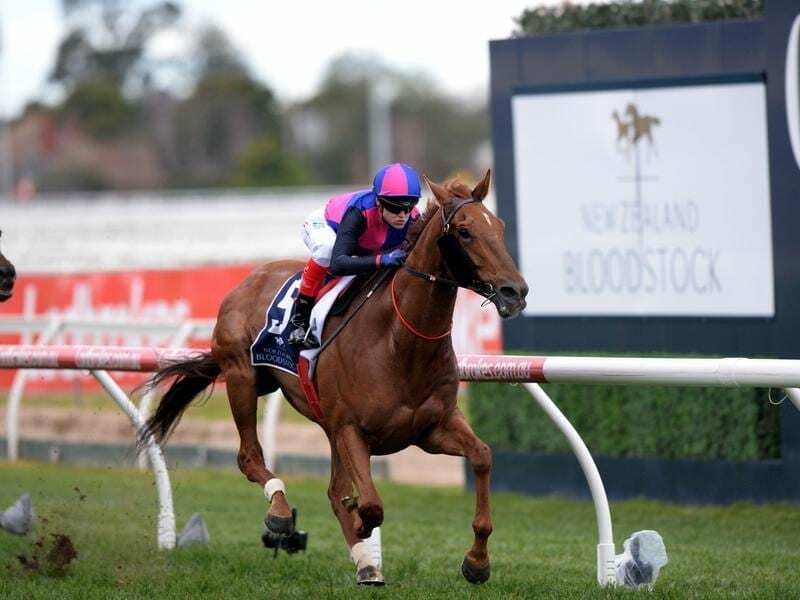 Jockey Damien Oliver also believes Vega Magic has come back well and is hoping the sprinter gets the conditions to suit on Saturday, with the surface rated a soft (5) on Wednesday. “I think the dry ground is the key to him so if he gets that I’m sure he’s going to perform well,” Oliver said. Sir John Monash Stakes runner-up Inn Keeper will have a new rider with Jamie Mott replacing Linda Meech who is serving a careless riding suspension. The second placing in the Monash Stakes was Meech’s only defeat on Inn Keeper from eight rides. Mark Zahra is booked to ride Voodoo Lad while apprentice Ben Allen will be aboard Black Heart Bart.